"I'm very excited about Mark Stephens' new book, which offers an invaluable service to the yoga community--teachers, aspiring teachers, and yoga students. 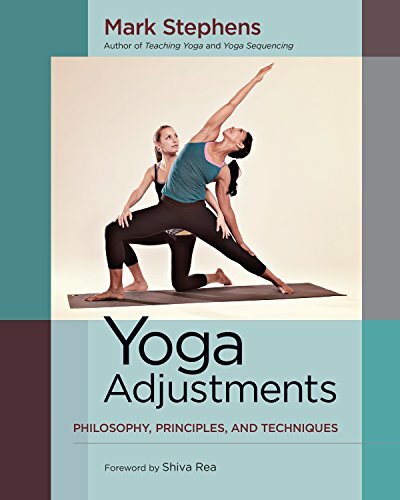 As yoga's popularity grows, we need our yoga teachers to mature as well, and Mark has given them a superb guidebook for making smart, safe, clear asana adjustments that further our understanding and deepen our experience of yoga. In this way, the benefits of Mark's expertise extend beyond the yoga community by demonstrating how healthy environments can be created in which anybody can practice yoga with confidence." "Finally, the book I have been waiting for--a clear and thorough guide to hands-on assisting in yoga. Mark Stephens takes us from the guiding principles of touch, observation of students, and establishing intention for touching, through to specific verbal cues and hands-on instruction to support those cues. For teachers, he offers stances to safely ground ourselves while adjusting a student along with terminology for clarifying the various ways of touching for maximum effectiveness. Additionally, Mark provides clear guidance on how not to touch. All of this culminates in a comprehensive index of poses with verbal cues and clear photographs explaining the various options for hands-on assistance to provide greater alignment in the asanas. Never before have we teachers and students had such a concise guide available to us."